R&B Baby-makin music man R. Kelly says the past is the past when it comes to his feelings toward former tour-buddy Jay-z. Kells says he has nothing but love for Hov and is still a huge fan despite being kicked-off of their Best of Both Worlds tour back in 2002. 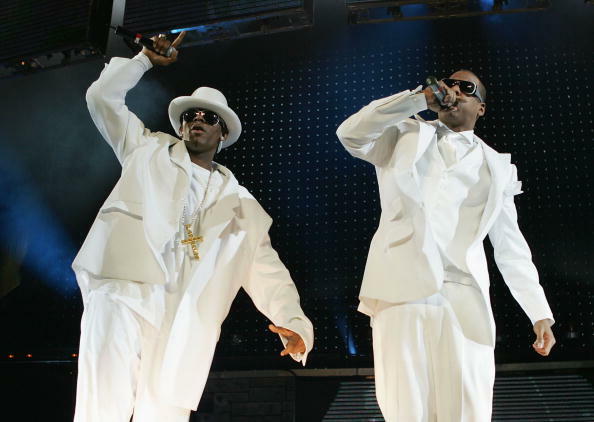 When R. Kelly and Jay-Z’s worlds collided, music fans got more than they bargained for. Musically, 2002′s The Best of Both Worlds was the perfect mix of Hov’s brash Brooklyn delivery and Kellz’s R&B thug timbre, even if the two failed to get along personally. No hard feelings, though. Kellz says that even after he and Jay’s public spat, heck, he still listens to Hov’s music, particularly his Best of Both Worlds-styled Watch the Throne LP with Kanye West. “Absolutely; huge fan,” Kelly told MTV News of how he received last year’s regal Throne project. When it comes to high-profile collaboration projects, Kelly and Jay were trendsetters. “We walked on the moon first, right?” he asked rhetorically. In 2004 the pair went on the road to support their 2002 LP and its follow-up, Unfinished Business, but ever since Kelly pulled out of an October 2004 show at New York’s Madison Square Garden, he and Hov have been on a rocky road. Despite their differences, Kelly has no regrets. It’s great to see artists get over petty beef and move on.